As we had already announced in our previous post about the expansion of Talaia by the North American market. 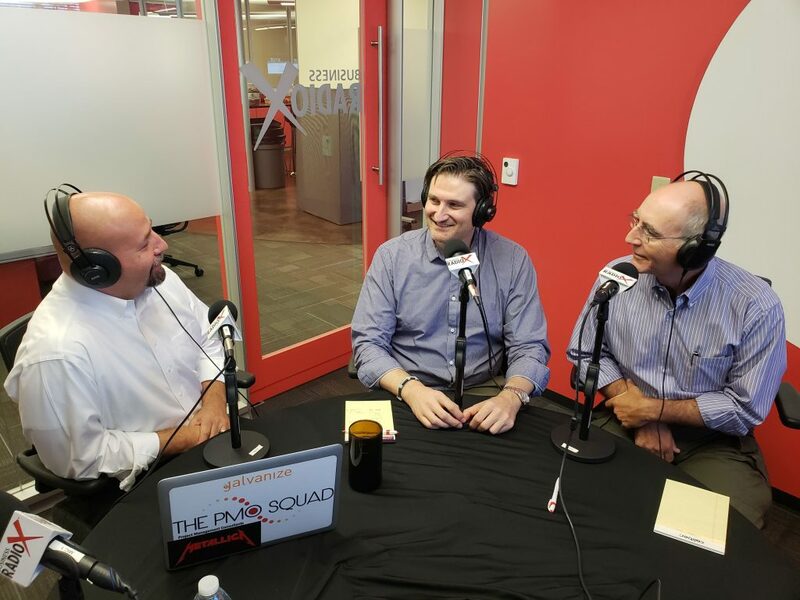 Last week we had the opportunity to participate in the radio show Project Management Office Hours, which we sponsored together with THE PMO SQUAD. So we had the pleasure of attending in live and talking about the management of projects, tools, functionalities, and an endless number of curiosities, what if you want to discover you’ll have to listen to the podcast! The alliance between Talaia OpenPPM and The PMO SQUAD was officially announced and for the first time. As the Talaia partner in the North American market, helping in the sales process as well as with clients offering professional services and advice. The program began by welcoming the guests and talking about the meeting that took place at the PMI Phoenix dinner in July. Leading to an entertaining debate about how our brain works and to know about what creates “funnels” in our minds. This is an interesting topic for Project Managers, to help us better understand how our teams can be more efficient. Joe started talking about project management with Fabrice to learn more about the solution offered by Talaia OpenPPM and how it differs from other similar products. Talaia OpenPPM is the first PPM tool under the PMBOK PDF standard. And he announced that it is a solution of the intermediate segment that does not compete with business-class tools such as Planview or with task management tools such as Asana and Trello. A second part of the program was when listeners sent questions through twitter for the guests to respond. Fabrice responded to a tweet about AI for PPMs. And Tom, the other guest offered many years of perspective and experience working for various organizations. He shared with us his key personality traits for a project manager. Tom also responded to a tweet asking for skills vs. techniques. Continuing with a great debate of Cascada vs Agile, with some new answers in front of what we had heard in previous programs. We learned a lot and it was a very positive experience with which we hope to have started on the right way in USA!